Is the popular weedkiller “Roundup” banned in France? A fair question. Numerous headlines over the last couple of years suggest that it is. For example, “Weedkiller Roundup banned in France after court ruling” or “France bans weed-killer after court ruling” (France 24 and RTE, respectively). However, although France has taken a leading position in attempting to ban Roundup, the truth is not so clear cut. Perhaps more revealing is “France’s Ban on Glyphosate Expected to Curb 80% of Use by 2021” as reported by Reuters, which reflects the current position. In Europe overall, Roundup is due to be completely banned by 2022. In November 2017, President Macron pledged to ban glyphosate-based products (including Roundup) in France within three years, rejecting a European Union decision to extend its use for five years. This has been somewhat watered down to the ‘80% target’ position today, after much lobbying from farmers. The products that are actually banned today are stronger versions of the standard Roundup (eg Roundup 360 which has other products mixed with glyphosate). Standard Roundup will be around a few more years yet. Roundup is the brand name for the world’s most used weedkiller, developed by Monsanto. The active ingredient in Roundup is glyphosate (hence why the two names are often interchanged in the debate). An incredible 800,000 metric tonnes of Glyphosate was used worldwide in 2017, around 9,000 of which were in France. 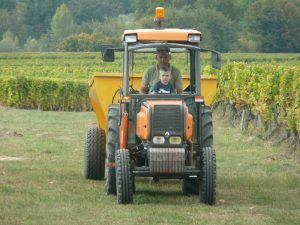 In French vineyards, around 60% of producers use the product, without which they estimate the yields would drop around 10 – 15%. Is it toxic to humans? To say this is hotly debated is something of an understatement. There’s a lot of conflicting information out there, but to try to distill it into an easy summary, it seems in small doses Roundup is not acutely toxic, but there are risks to human health from high or prolonged exposure. For example, a landmark ruling by a court in the US in August 2018 ruled that Roundup was liable for a terminally ill man’s cancer and ordered the company to pay $78 million in damages. 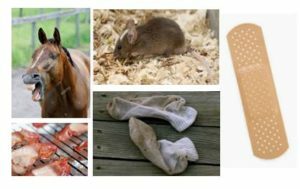 The jury also found that the company “acted with malice or oppression” and failed to warn the plaintiff of the health hazards from exposure. There are at least another 10,000 similar cases pending. Furthermore, the WHO (World Health Organisation) has classified glyphosate as “probably carcinogenic in humans”. Traces of the product are regularly found in many products, including breakfast cereals, fruit juice, biscuits and of course wine. On the other hand, the amounts found in the food and drink products are very small (you’d need to drink 40 bottles of wine per day for the roundup to kill you, by which time the alcohol certainly would have), and other items on the “probably carcinogenic” list include read meat and creosote. Also, various other scientific and research bodies have reported low or no risk of cancer in humans from Roundup. Thousands of farmers would vehemently argue Roundup is not harmful based on its extensive use for 40+ years, and often pose the question ‘what else could we use that is less harmful’? Whilst this is not an unreasonable question, is somewhat misses the point in our view as it is based on commercial needs and thus shifts the argument from the more fundamental “is it harmful to humans” question we are asking here. So, what conclusions can we draw? Many different conclusions, of course. Our view is that it is down to personal choice – do you want to drink a wine, or feed your kids a bowl of Cheerios, knowing roundup has been used, irrespective of the amount contained within? Some people would say no, others could not care less. We can also conclude that, just because a product has been in use for many years, that does not mean it is safe. The use of Roundup (or any other chemical weedkiller) is simply not necessary. We kill weeds mechanically, as do all organic wine makers. Arguments for Roundup are based on yield and commercial needs, which are of course very important, but we and many others get a high enough yield without chemicals – it takes a few years to learn how to manage the vineyard that way, and a bit longer to get rid of the weeds, that’s all (roughly 12 hours per hectare per year versus 90 minutes with Roundup). The use of chemical weedkillers like Roundup is certainly harmful to the wider environment. As with this feature’s very quick look at the dangers to humans, you’ll find a host of conflicting information out there about environmental damage, but the product is linked with harm to earthworms, soil microbial life, aquatic life and disruption to food supplies to butterflies, amongst other things. Despite all the arguments either way, as anyone that visits us at this time of year will easily see, the contrast between vineyards treated with weedkiller and not is obvious. Sometimes you just need to take a look, and that is enough. See pics below. At the top is a field of vines treated with roundup, at the bottom, one of our newly planted areas, where the weeds have been removed by a mechanical tool on the tractor. Wildlife thrives in the organically worked vines (in particular, we see quite a few hares at this time of year). The chemically-treated areas tend, unfortunately, to be mostly devoid of animals and insects. In other pesticide news, Europe are about to ban anti-mildew products (the most common of which is called Bravo) containing Chlorothalonil, which is used in large quantities on many crops, not just vines (for example, it is the most widely used fungicide in the UK and US on cereal crops, as well as peas and beans). The product is highly harmful to aquatic life as it washes out of fields into water courses and is strongly linked with the steep decline in the pollinating bee population. Whatever your views on the subject of Roundup or any other chemical product use in viticulture and farming in general, there’s only one way to be sure that no Roundup is in your wine – buy organic! Leave a Comment on Is the popular weedkiller “Roundup” banned in France? Breakfast: Tradition dictates Bucks Fizz, freshly made with 2 parts champagne to 1 part orange juice, or why not try the Mimosa which is champagne and orange juice in equal measures – either are sure to get your Christmas off to bubbly start whether you’re serving bacon and sausages, eggs benedict, salmon or a lighter continental breakfast. 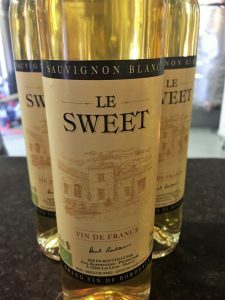 Aperitif: In France the aperitif is often a sweet white wine, and our 2015 ‘Le Sweet’ with it’s rich golden colour and citrus followed by honey and caramel is perfect. 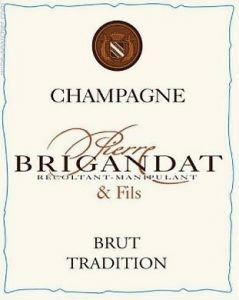 If not a sweet wine then try the Pierre Brigandat et Fils Champagne in our sparkling winter case with it’s creamy, lemony aromas on the nose and full palate finished with a sensation of crispness. It will pair well with whatever nibbles you serve. 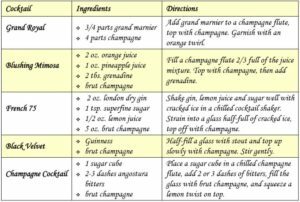 Also don’t forget that champagne can make some wonderful cocktails – click here to see our top 5 champagne cocktails! 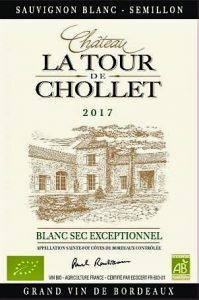 Starters: Our fruity, smooth and vivacious 2017 Blanc Sec Exceptionnel with it’s long clean finish will be a great compliment for anything you serve from light salads, sea food, fish, paté and even spicy starters. Main Courses: If you are going traditional and serving turkey (it has been served at Christmas since the 16th century!) you have to take care not to overpower it as it isn’t a powerful meat. We would recommend the 2015 Cuvee Classique – it is bright and fresh on the nose and round and fruity on the palate but without any heavy overpowering tannin. If you’re serving goose or a heavier red meat dish, such as beef wellington or lamb then our 2012 Cuvee Prestige will be perfect with it’s elegant and complex aromas, rich, ripe dark fruit and warm spice. A vegetarian mushroom roast will need a heavier wine like our Prestige, but vegetable tarts, or anything with cream and cheese will need more acidity and you should serve a dry white such as our Exceptionnel. Our Classique will pair well with dishes such as a veggie lasagne and other pasta with tomato sauce. Pudding: It has to be our 2015 ‘Le Sweet’ – with it’s unctuous sweetness balanced by a fresh acidity it will pair brilliantly with your Christmas pudding, mince pies and even with chocolate based desserts. Cheese: You’ll be spoilt for choice with our wines to pair with cheese – try ‘Le Sweet’ with a salty goats cheese and other soft cheeses, our Exceptionnel with a lighter firm cheese, or either of our reds will be delicious with mature hard cheese. Boxing Day: If you’re currying up the leftovers or serving cold meat platters with sauteed potatoes our 2015 Classique will be ideal. Feature – common faults in wine #2. In the first of this mini-series on the subject of wine faults, we looked at cork taint (corked wines) and oxidation. In this feature we have a quick run through of a more recent and sometimes controversial fault, caused by a rogue yeast that is colloquially known as Brett. ‘Brett’ is short for Brettanomyces, which is a type of yeast that lives on the skins of fruit, but also for winemakers can hang around in the winery, in particular in barrels. It changes the character of wine, in most cases for the worse. The conditions that allow it to develop are varied; poorly cleaned harvest and winery equipment, problems with fermentations, low acidity in wines, and less than perfectly cleaned tanks and barrels being the most common. Once the winery is ‘infected’ with Brett, it is a devil to get rid of, which is why many wine traders who buy in bulk (ie from the tank) will not touch any wines from a property where they have detected even a small hint of Brett, for fear of contaminating their (usually very large) wine blending facility. Having said that, it has long been argued that ‘a bit of Brett’ makes a wine more interesting. Well, it can do but only in specific circumstances; the Brett compound has to be the right type (see below), be only in small quantities – itself reliant on people’s sensitivity to it which varies a lot, and also the wine must be stable – that is to say, a bit of Brett today can soon become a lot tomorrow. The first one, 4-ethylguaiacol, can be pleasant in a wine – the others not so much! To combat the threat of Brett, winemakers need a healthy crop of grapes, careful hygiene all stages of the harvest and winemaking process, diligence during fermentations, and good control of temperature and levels of sulphur (the all-purpose preservative and antioxidant used in winemaking) are also important. In organic winemaking, given we use much less sulphur, the other factors become even more important. 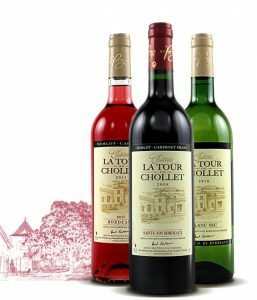 2018 is a vintage marked by low acidity in Bordeaux (high pH) which has set the alarm bells ringing, due to the relative inability of sulphur to protect wine with low acidity, so extra care (and even, in some case, acidification of wine), is needed. 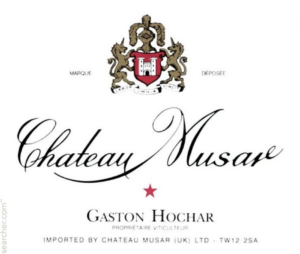 Incidentally, there are winemakers who take the opposite view and let Brett do its thing (along with all the other volatile compounds), most notably Chateau Musar, the famous Lebanese wine. However, they are the exception and most people in the industry nowadays view Brett as a fault to be avoided. Fun fact; Brettanomyces actually comes from the Greek for ‘British Fungus’, as it was first discovered when chemists investigated spoilage of British beer over a century ago. 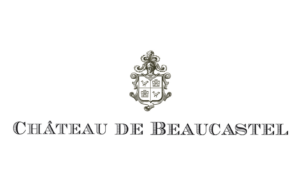 Chateaux Musar (Lebanon) and Beaucastel (Chateauneuf-du-Pape), two famous wines who, it is said, have had a strong presence of Brett over the years. 2 Comments on Feature – common faults in wine #2. 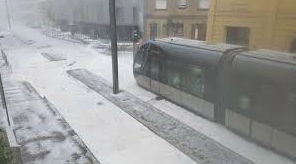 It may seem that we are always reporting some sort of extreme weather or other, and we wouldn’t want you to get disaster fatigue, so we will try to get some perspective on the latest weather event here in Bordeaux, the hailstorms on 21st and 26th May 2018. 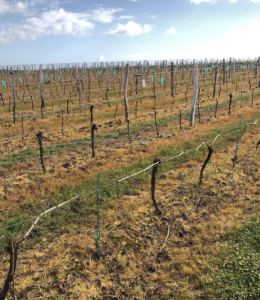 Firstly a look back to last year, where the frosts of April 2017 do count as extreme, being the most severe and widespread for more than 25 years, and given the extent of the damage – for example here at Chollet we lost 56% of the harvest versus our 2016, which was about average. To put that in context, it’s 56% less money and the same cost of production. Many unfortunately lost all. Back to this year’s hailstorms, whist maybe not extreme, were certainly very serious and of course for those hit is was certainly extreme as the worst affected will suffer 100% crop loss this year, and a follow on maybe 50% next. That is enough to finish off a business that was already suffering, either from loss of income due to the aforementioned frosts or just generally in a precarious financial state – not uncommon outside the prestigious areas of Bordeaux (and occasionally within). To the facts and figures; officially around 7,100 hectares were damaged (that’s about 17,500 acres or 5% of the entire region’s vineyards), or to put it another way, at normal yields that would equate to around 40 million bottles of wine. Over half of these sustained more than 80% damage, which in reality means no harvest this year, and, again, maybe next depending on the extent of the damage. The pictures below show the strangely wintry scene in the city of Bordeaux after one of the storms (remember this was the end of May), and below that, one completely hail damaged vine versus a partly damaged one. In a sense, a partly damaged vine is just as much of a pain, as the vineyard workers will spend all year looking after it, only to find the grapes may well not reach maturity due to the damaged foliage. We were lucky here at Chollet – or, it may be better to say we were not unlucky – the storms here certainly packed a punch but there was no hail. 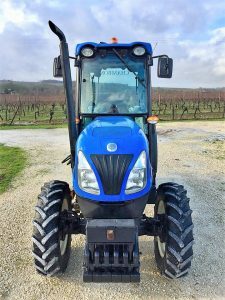 Around 10 minutes from us, around 400 hectares were hit, but the majority of the damage was west of here in a sort of ‘hail alley’ from the Southern Medoc up to the north western appellations of Bourg and Blaye. 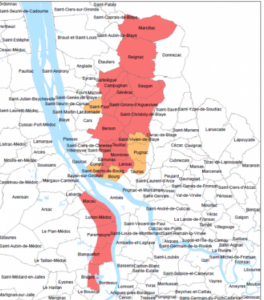 If you study the map below, you’ll see Bordeaux at the bottom, and the red zones indicate the areas with more than 80% of damage, running roughly NNE from the city, avoiding the major appellations of the Médoc like Pauillac and St Estephe (upper left) and St Emilion (just off the map at the bottom right, close to where we are). What’s next, we wonder? Well, some sun would be a start, as we are ‘enjoying’ one of the wettest Junes on record. However, the vines seem to be coping OK, albeit looking rather scruffy due to the muddy ground rendering tractor work impossible in between the rows of vine, where weeds and grass are growing at quite a rate – not to mention the frogs which are croaking merrily as they splash around in the puddles. The biggest risk in these conditions is the spread of mildew which can drastically cut the yield and affect quality. We have seen the first symptom, and whilst not serious yet we really need some decent weather. The current risk evaluation by the dept. for agriculture is not helpful – basically ’threat of epidemic’ – see graphic below. Gulp. Assuming the weather sort itself out, there’s time for everything to recover before the harvest, but please, pretty please, no more extreme weather! 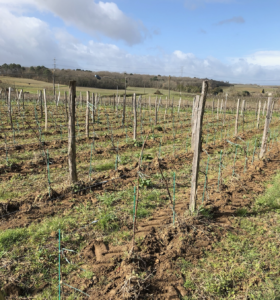 There have been a couple of important and necessary purchases here at Chollet this winter – both of which will improve efficiency, speed, and the overall quality of work done in the vineyard – which ultimately will benefit the wine, as ever the most important thing. The main acquisition is a new tractor – well, new to us anyway – as our old Renault, which has served us well, is fading fast and refuses to start unless it’s in a good mood. Those of you who know dairy farms will be familiar with the semi-retirement of tractors to become ‘yard scrapers’, and in a similar vein our old Renault will still be good for mowing and generally dragging stuff around in trailers. The ‘new’ one is actually a second hand New Holland which has not been used much so feels pretty new. Resisting the temptation to dive into technical details, suffice it to say there are a bunch more features, for example air conditioning (saves boiling half to death in the summer, or freezing in the winter) including special filters (saves breathing in masses of dust), more power, 4-wheel drive, wipers that work, a radio (wow! ), and many more bits and bobs that allow easier and quicker connection of the various tools we use here. Oh yes, and it starts when you turn the key which is quite the novelty. Hello to and goodbye (well, not quite goodbye). The New Holland is the blue one, and the baby is now nearly big enough to drive it himself! Speaking of tools, being an organic farm, we have a fair collection of them we use for weedkilling, in order to avoid the use of chemicals (in France the ubiquitous roundup, or Glyphosate, is used on a huge scale and is controversial due to its toxicity to people and animals, and long term damage to the environment – search “Glyphosate ban Europe” to find out more). 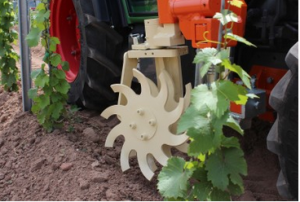 One such tool allows us to turn over the soil in between the vines which creates a long mound of soil a few inches high, thus masking the weeds and stopping their growth for a few weeks. To do this we have been using a rather clumsy blade which flops the soil over in quite large clumps, which in turn is harder to reverse (the soil needs turning back over of course, or we end up with an ever-growing pile of soil). We now have this neat new disk which breaks the soil as it turns it over, keeping it nice and soft. I know this may not be the most exciting news to many of you, but just remember the use of these various disks and blades means we use none of the aforementioned chemical weedkiller. 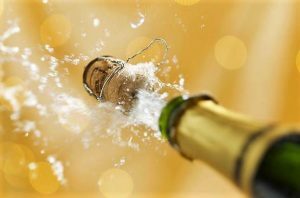 We try to get ideas for newsletter features from the questions we are asked most often during wine tastings, and one such question is ‘what is corked wine’? Starting with that and moving on to another of the common faults, oxidation, here is a short guide. Whole textbooks have been written about these faults, so not everything is covered here – if you are interested in wine tasting and/or doing your WSET wine qualifications, and therefore need to know about wine faults, there is plenty out there for you to digest – drop us a line if you want to know more. On a more basic level, understanding a little about faults and what causes them often helps people send back a faulty wine in a restaurant, for example, when maybe previously they would not have been sure and persevered anyway. Remember – life is too short to drink faulty wine! In the vast majority of cases, it is the cork that causes this fault, but it’s not ‘bits of floating cork’ (although that can be annoying). The culprit is in fact a chemical compound called TCA (2, 4, 6 trichloro-anisole for those interested) which finds its way into the cork, either by the use of chlorine for bleaching corks, or from the tree (the cork oak, quercus suber) itself taking up pesticide residues from the soil, which then react with natural fungi. 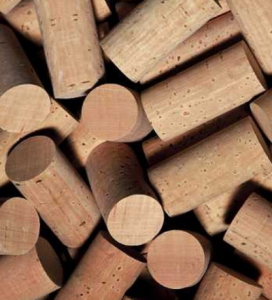 Other causes of cork taint are treated wood in wine storage areas (beams, walls or barrels), or simply a mould forming around an ill-fitting cork. Human sensitivity to TCA is high (we can detect one billionth of a gram per litre), which partly explains why it is the most common fault we come across. Developments in cork hygiene and sterilisation have helped a lot, but the problem is still there, with maybe 1 in 40 bottles affected, although estimates vary a lot. 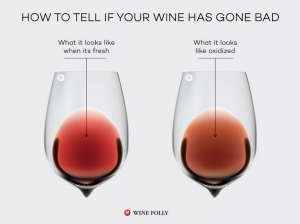 Normally it is quite easy to detect a corked wine; the first things that hits you is a mouldy smell reminiscent of a damp cellar (at least that is how I picture it), followed by a dry taste that lacks fruit and length. Of course, it is not always that obvious, but for me if the smell is even slightly mouldy, the taste is dry, and the fruit has gone missing, I’d consider it corked. In less obvious cases, my rule of thumb is that of you have to try really hard to find fruit and pleasure in the wine, both smell and taste, it’s likely to be a faulty wine. Oxidation is a more complex. Generally speaking, wine needs oxygen, but not too much, and only at the right times. However, for fortified wines like sherry, Banyuls, Madeira etc, high levels of oxidisation are desirable. For this short guide we’ll stick to standard dry wines and define oxidation as ‘an excess of oxygen’. Oxidation can occur from the moment the grapes are picked right through to storage of the wine in bottle, and for a variety of reasons, but with one common factor; the wine quality is permanently affected. If the oxidation occurs early in the winemaking, it is often not detectable until much later, so the only answer from the winemaker’s point of view is diligence at all times. In the case of white wine, starting with the harvest, it is vital that only healthy grapes are picked, preferably by hand. Then, the grapes should be gently pressed and transferred into the fermentation tank as soon as possible, at cool temperatures. Finally, during the period between harvest and the start of the fermentation (about 48 hrs, normally) the juice should be protected from oxygen by use of an inert gas such as carbon dioxide, or dry ice. During the fermentation the wine is protected by the natural production of carbon dioxide, but after fermentation and before bottling, there is always a risk any time the wine is moved, say from one tank to another, or tank into barrel. At this stage the wine should be warmed slightly as oxygen dissolves into wine at a higher rate when the wine is colder. Thereafter, storage tanks or barrels should be perfectly full, clean and airtight, allowing for a controlled dose of oxygen from time to time to prevent reduction (another fault, kind of the opposite of oxidation). 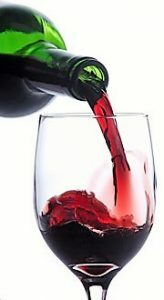 For red wine, the same basic rules apply, with more emphasis on the storage after fermentation as red wine normally spends a lot longer in tank or barrel before bottling, increasing the risks of a slow oxidation. Particular attention should be paid during the few weeks before a bottling, when temperature, sulphite levels, and cleanliness of material such as pumps and pipes have to be rigorously maintained as the wine is moved around in preparation. 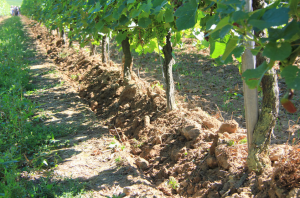 Furthermore, growing conditions even before harvest can have an effect; if the vines are stressed during the growing season (say in a drought year), they may not contain enough natural compounds that protect from oxidation later. Higher-yielding clones of certain grape varieties may also lack these compounds (called phenolics), so vine quality is a factor. After bottling, a poor quality cork can allow oxygen in, despite any efforts made in the vineyard and winemaking. This is the responsibility of the winemaker and their cork supplier, to ensure the corks are good enough. 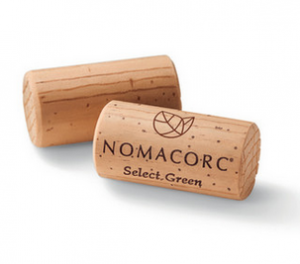 Here at Chollet, for the white and rosé we use nomacorc ‘green line’ recyclable corks which are pretty much guaranteed problem-free, and for the reds we use good quality 49mm real corks, again to minimise any potential issues. Whatever the cause, an oxidised wine tends to lose its clarity, and sometimes go cloudy. The colour takes on a brownish tinge, smell slightly of rotten fruit (oxidised apples, for example) and taste flat, burnt, or nutty. Both of these faults can affect both red, white and rosé wines, but it’s white wines that suffer the most, with more delicate flavours. For example, for a number of years many Burgundy white wines suffered from premature oxidation, even top end ones. The causes are still being debated, although it’s likely to be a combination of all the above, plus the fact that Burgundy white is aged in barrel for longer than most other whites. Things are a lot better now, but oxidation can never be controlled 100%. So, remember – if you believe a wine is corked or oxidised, it probably is – and don’t be scared to return it. Winemaking: Grapes hand harvested and pressed on 31st August followed by fermentation in stainless steel with discreet use of oak and regular batonnage for 3 months. Reduced sulphur. Maturation: 5 months in stainless steel tank before bottling. Tasting notes: Clean, crisp and fresh with aromas of tropical fruit and citrus. On the palate, the wine is fruity, smooth, and vivacious, with a long clean finish. Serve with: Fish, shell fish, white meat, pasta, hard cheese. Ideal time to drink: between 2018 and 2020. Serving temperature: 8 to 12°C. Back by popular demand, this year’s Christmas case includes 2 bottles of Decanter bronze medal winning Champagne from small organic producer Pierre Brigandat et Fils. The Brigandat vineyard grow all their own grapes and farm organically on the south facing hillsides in the village of Channes, these are the southern-most vineyards in Champagne. The Brut tradition is light yellow with a mature nose with creamy, lemony aromas and an almond note. A full palate with a refined texture the milky, lemony aromas reoccur, capped off with a sensation of crispness. Perfect as an aperitif, this Champagne also complements almost any kind of meal excluding heavy meat dishes and desserts. Fortunately we have just the thing to pair with your Christmas pudding – a bottle (50cl) of our 2015 Sweet! This 100% sauvignon blanc sweet wine has a rich golden colour. On the nose, the first impression is citrus followed by honey and caramel. On the palate, an unctuous sweetness is balanced by a fresh acidity, followed by flavours of honey, apricot and caramel. A long smooth finish follows. Perfect for a rich dessert or mature hard or soft cheese. With only 134 bottles made they have all been bottled, corked, labelled and capsuled by hand so please forgive us for any wonky labels or creased capsules! Also due to the tiny quantities the wine is only available in this mixed case. Please see below for the feature from Paul about how we grow, pick and make this unique style of wine. Kirstie Rowbotham on Feature – common faults in wine #2. Zepp on Feature – common faults in wine #2.